The Emergency Department at Derriford Hospital is the South West Trauma Centre. This is a caring, dynamic, enthusiastic and motivated team delivering high standards of emergency care to a variety of patients presenting with trauma, major and minor emergency conditions. We have an emergency nurse practitioner service and advanced nurse practitioner service. The Clinical Decisions Unit attached to the emergency department is solely staffed by dedicated nurses and therefore benefits from ownership of its own staff in the running and development of the unit. It is a 10 bedded unit that looks after a variety of patients from minor trauma, alcohol related head injuries, psychiatric patients and the elderly who have fallen and require a further multi disciplinary health assessment. Short Stay Ward (Tamar) is a 20 bedded, 72 hour stay ward. The ward has an ethos of delivering high quality care by a highly motivated, dynamic team that want to enable early discharge in order to deliver an excellent patient experience. There is a mix of patient specialities on the ward which allows for the growth of a wide knowledge base in the field of acute medicine. Tamar ward also benefits with close links to the Medical Assessment Unit, Clinical Decisions Unit and the Emergency Department which are all part of the 'emergency village' on the ground floor of the hospital. We offer a vast of opportunities to work at different grades within our nursing team. We encourage post registration teaching and education in order to develop our team of nurses and assist in the delivery of care. We are always looking for new staff to join our team and would encourage you to make contact. 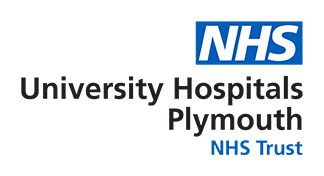 If you are looking for a diverse patient mix that will develop your nursing knowledge, fast admission and discharge of patienst then this could well be the unit you should join. We currently offer a 6 month rotation post between the Emergency Department, Clinical Decisions Unit and the Medical Assessment Unit. This certainly would benefit any nurse with exposure to trauma, acute medicine/surgery, acute psychiatry to name but a few of the specialties covered by these areas.